The Sonos Digital Music System is a high-end multi-room hi-fi system designed to enable music lovers to instantly access their entire music collection anywhere in the home. We have helped Sonos shape the brand from the very beginning, designing the first product line of an entirely new brand by creating a fresh form language and CMF applications that are inspired by contemporary home environments, and our insights on cultural influencers that drive consumer passions, aspirational needs and aesthetic expressions. Since 2003, Y Studios has collaborated with Sonos to help shape the brand from day one. Beginning with its first product CONNECT, we created a fresh design language for the family of products. The elegant functionality of the language provides a consistent user experience and cohesive brand image. CMF applications are inspired by contemporary home environments, and our in depth insights on cultural influencers that drive consumer passions, aspirational needs and aesthetic expressions. The first generation Sonos system comprised of the ZonePlayers ZP100, ZP90 and ZP80, ZoneBridge and Controllers CR100 and CR200. All products work in tandem to control digital music throughout the home by using SonosNet, a secure wireless mesh network that extends the range of your throughout the entire home. The CONNECT: AMP is the first product we designed for Sonos. It is a wireless amplifier that streams your entire music library and favorite online music services, and controls it all with a free app on your phone, tablet, or computer. Setup is easy, and you can play music on the connected speakers alone or throughout your house with Sonos speakers in every room. The function is the form in the way the extruded aluminum housing on the top is designed to facilitate heat dissipation whereas the plastic case on the bottom provides radio transparency for the Wi-Fi antennae inside to work flawlessly. The Sonos BRIDGE is a wireless bridge that creates a dedicated wireless network for the Sonos system to extend the wireless network range for a more reliable performance, no matter how large the home or how many Wi-Fi devices are used. Simply connect a BRIDGE to the router using a standard Ethernet cable and additional Sonos components can be added to the music system wirelessly. 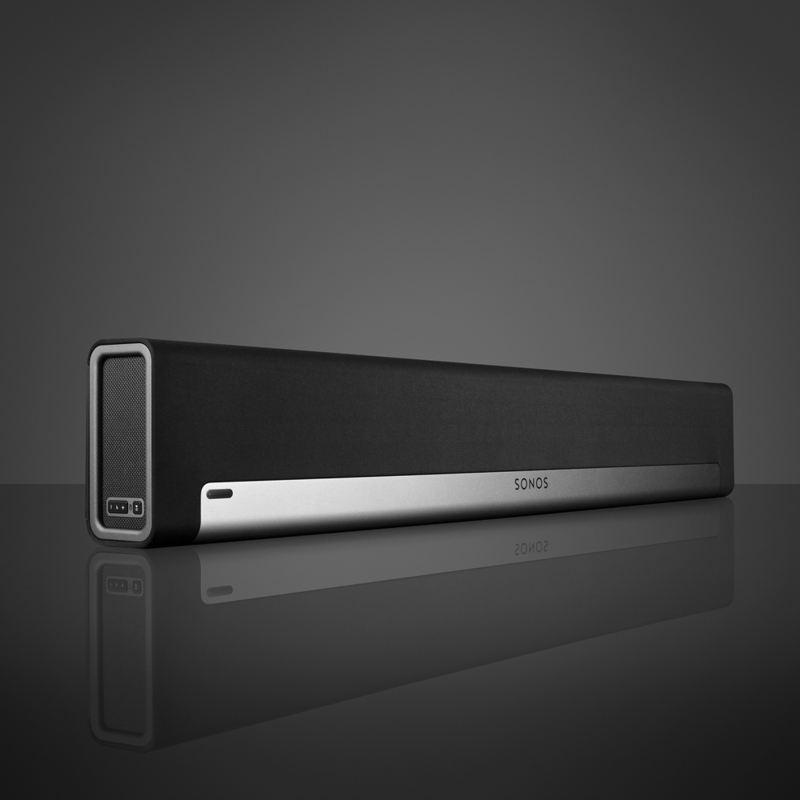 The Sonos CONNECT is designed to be used with an external amplifier, such as the home theater system or the stereo system in the family room. It contains both analog and digital outputs so users can easily connect it to their existing audio equipment.